Beta Rules, Not Tested Yet! En Garde! is small man to man skirmish, with emphasis to duelists combat set in European Renaissance. You can recreate stories of Three Musketeers, captain Bathory, or any other inspiration, like modern Asassins Creed. Both En Garde, and his older brother Ronin are great games, with excellent combat mechanics, where you need to outsmart your oponnents in personal combats. We love them. The Mechanics. We played Ronin as I have my collection of Kensei Zenith models and Jindra has collection of Martial Masters, but Jindra is not that much in orient gaming. We do not have models for renaissance, and we were unable to found models we like for the game, nor to choose the setting we shall both accept. Suprisingly there is not that much needed. This is first draft, I hope we will add some other recommendations or army list later. 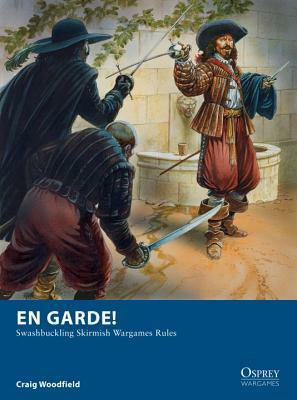 And also review of En Garde! on main page as it is missing ;-). Rules for Wagons as shown on page 27 shall be used for chariots as well. New order for models with Command Attribute (page 12). Models equipped with Shieldwall Attribute with Shield (and not buckler) in commander’s Area of Influence will form Shieldwall. Each model must be with base to base contact with at least one other model. 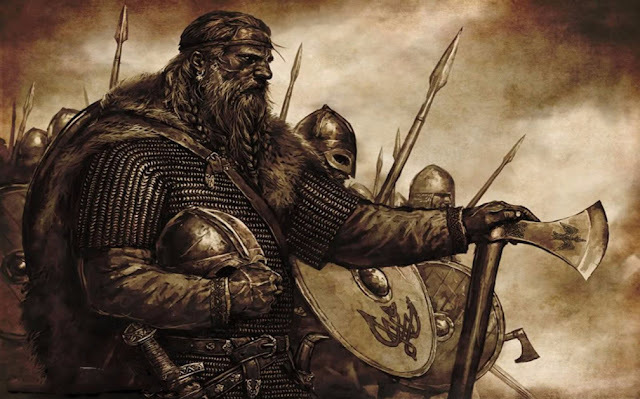 Commanders shall be part of the shieldwall. New Attribute (page 23). Model has +1 to initiative and can add one additional Attack counter to his Combat Pool. He can use only Mighty Blow ploy in combat. New Attribute (page 23). Models with this attribute can form shieldwall as per Form Up! Order. All models in Shieldwall gets +1 initiative and can add one additional Defence counter to his Combat Pool. Can use only Parry ploy in combat. New Atribute. You can make two ranged attacks in the round, one in Move Phase, one at the beginning of the End Phase before Tests for Morale are taken. Apply -1 penalty on both attacks. You can’t use Trained Shot with weapons with Reload special rule. You can’t move when you use Trained Shot. You can’t use trained shot at extended range allowed by Hawkeye Attribute. Melee Weapon Special Rule. You can throw this weapon at 6 inches with Reload (1). You can’t use this weapon in melee in the same round you used it as missile weapon. You have to find some weapon of the same type on your next movement phase, thus Reload (1). Missile Weapon Speacial Rule. This Weapon has effective range beyond regular 4x4 table. You can use this weapon extended range with optional Hawkeye Atribute. Otherwise ignore this Special Rule. 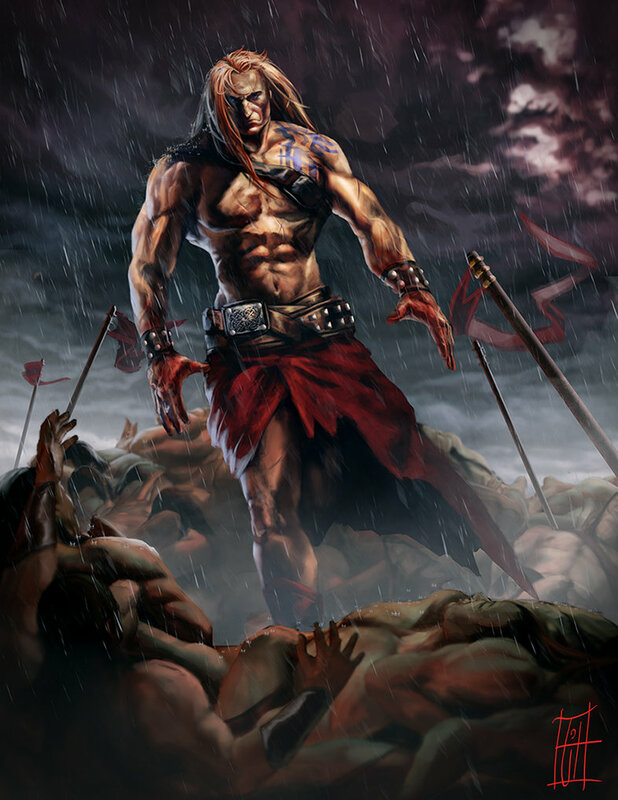 Soldiers marked with tattoos believe in divine guidance in combat thus they can increase its combat pool by one. 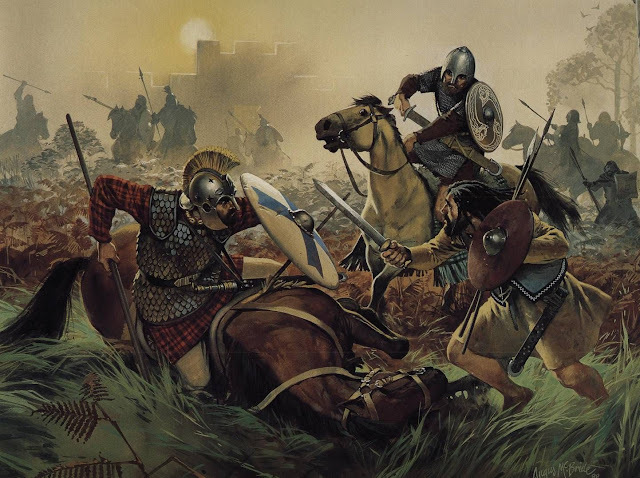 They cannot use any type of armour except shield and buckler. They can reroll exactly one dice in close combat per game. You can take this attribute up to three times, each time the tattoo covers more of the body and the warrior (or model) proudly shows their tattoos. However he will not increase combat pool, but gets additional rerolls for with each additional application of tattoo. 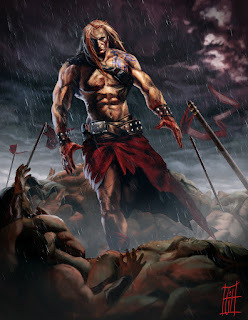 If the warrior has only one Tattoo attribute he has tattooed hands or torso. With two attributes he has tattooed hands and torso, and with third attributes his legs are tattooed as well so he runs naked trusting to divine protection. Models must be WYSIWYG! Hawkeye is a new attribute. If the model has Long Range Weapon he can target model anywhere on battlefield (we assume you have 4x4 table, otherwise see the maximum ranges bellow) if you are able to draw line of sight to it. Before you roll for missile attack, roll 1d6. On 6 you hit the target. New Attribute. Prerequisite: Hawkeye attribute. Choose one Long Range Weapon. You can improve your Hawkeye test by 1 when shooting with chosen weapon. Therefore you hit the target on extended range allowed by Hawkayer Attribute on 5+. And you can’t receive more than -2 penalty with chosen weapon for Target Away as shown on table “Modifiers to Shooting Roll” on page 10 of the Core Rules. You can select this attribute several times, each time choosing different weapon. Missile Weapons are an enigma to let them work properly. There is always possibility for them to be Overpowered and ruin the Close Combat, or the opposite option. There are hundreds of different sources and opinions about ranges, usage and overall handling and availability of the missing weapon. Is the Pillum any better than saxon Javelin? Is Highland Archery comparable to Welsh archery? Every single Living History or Book tell you different story. We tried to do the best. We calculated effective ranges in scale (Effective Range in Centimetres divided by 56 for scale ratio and then transferred to inches). But what is effective range? We can loosely describe it as range where the weapon still have its stopping power (mostly by killing or seriously wounding the guy on the sharp end). That’s cool, we are about 154 inches range for Long Bow, if we assume that the effective range is 220m! BUT. You are not able to hit single target for this long, not in combat, not if the target is moving, you are surrounded by enemies, you have to move as well and there is no open field in front of you. Fighting in fast passed skirmish covered by En Garde Rule is not same to shooting on French Knights charging via Open Field (So it was Bohemian king to show French people how to fight, but that’s another story). After consulting with some sources we came to conclusion that you are able to snipe target in 50 to 70m, that gave you something about acceptable 48 inches. If you do not agree feel free to modify. Based upon this, we create rule for those hawkeyed archers you have in your list, which will be able to hit target anwhere on the 4x4 table. Its optional rule, so please agree with you opponent, test it, it can easily ruin the game, if you spam this. You can find it above.